Are You Ready For Big Sky Closing Weekend 2016? On Thursday, November 26, 2015 at 9 AM, Big Sky Resort opened for the 2015/2016 ski season. After countless powder days, plenty of sunshine, and one more season on the books, the end of ski season is in sight. After 144 days of non-stop skiing and riding, the chairlifts will stop spinning on Sunday, April 17, 2016 at 4 PM and Big Sky's 42nd season will be over. Before you make your last turns of the 2015/2016 season, be sure to be a part of Big Sky Closing Weekend 2016. It's going to be a blast. Big Sky Closing Weekend will kick off with the 13th annual Pond Skim on April 16, 2016. Pond Skim starts at noon on the Ambush Headwall (walking distance from the base area). If you're planning to test your water skiing prowess, registration starts at 9 AM in front of BaseCamp in the Mountain Village and costs $30 per person. All Pond skimmers will need a valid season pass or April 16th lift ticket to participate. There is only space for 100 participants so be there early! Humorous costumes are always highly recommended. 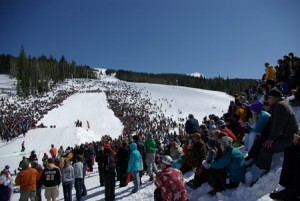 Last year nearly 6000 people showed up to cheer on the Pond Skim and to enjoy the after party. This year could be even bigger. The Big Sky Pond Skim 2016 will then host an after party with Milton Menasco and the Big Fiasco and Dos Equis Apres Ski. After the show, the apres party continues at Montana Jack. Then on Sunday, it's time to wake up early and go skiing on Big Sky's Closing Day. Be sure to enjoy the last day of the season responsibly. Big Sky Closing Weekend is fun for all ages. Please party responsibly. Take advantage of public transportation. Book a place to stay locally. Enjoy the end of another great winter season. Will we see you on the slopes for Big Sky Closing Weekend 2016? We hope so. Stay safe. 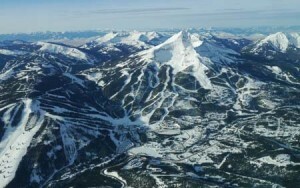 And don't worry, Big Sky Resort will reopen for the summer season very soon. Are You Ready For Spring Skiing At Big Sky Resort?